The Certification Board of Infection Control and Epidemiology, Inc. (CBIC) is an organization that certifies health care workers through the completion and passing of the CBIC exam. Once certified, certification lasts for five years. Prepare with our CBIC Study Guide and Practice Questions. Print or eBook. Guaranteed to raise your score. Get started today! The exam is administered at over 140 testing centers in North America by Applied Measurement Professionals (AMP). Prior to applying for the CBIC examination, certain specific educational and practice requirements must be met. Details about these requirements can be found online on the CBIC website. There are two ways in which to apply for the CBIC exam. One way is to apply online on the Applied Measurement Professionals (AMP) website. After applying online, a confirmation of eligibility is available immediately, and then a CBIC exam appointment can be scheduled. One can also apply online by mailing a paper application to AMP directly. This application can be found online in the Candidate Handbook on the CBIC website. After applying by mail, a notice of eligibility will be sent to approved candidates within two weeks. CBIC Flashcards. Proven CBIC test flashcards raise your score on the CBIC test. Guaranteed. When applying for the CBIC exam, all fees must be paid as well, and these fees are outlined online. The eligibility window for both online and mail applicants lasts for 90 days. The CBIC must be taken during this 90 day window. There are no specific CBIC examination dates, and the CBIC exam can be taken on Mondays-Fridays at either 9 am or 1:30 pm. Exams can be scheduled by calling AMP directly or online on the AMP website. Exam locations can be found online on the AMP website. The CBIC examination is computer-based, and consists of 150 multiple choice questions. Of these 150 questions, 15 questions are pre-test questions. After the completion of the CBIC exam, a score report is available from the CBIC examination proctor. The score report contains the raw score for the entire CBIC exam, which is the total number of questions answered correctly, as well as the raw score of each of the six major content areas. In addition, the score report will note whether the candidate has passed or failed the CBIC examination. The minimum passing score is determined using the Angoff method. This method estimates the probability of passing each question on the CBIC examination. The minimum passing score varies between different CBIC examination forms. Prior to the CBIC examination, it is crucial to be familiar with the content and format of the CBIC exam. Reviewing the content structure online on the CBIC website can be useful. In addition, the CBIC website lists reference books which may be of use as study aids. Taking practice examinations and completing practice questions can also be of use. During the CBIC exam, taking advantage of the practice test at the start of the testing session is useful. This practice test is not scored, rather, it is for helping the test-taker become familiar with the computer testing environment. Pacing during the CBIC examination is also important. Time can be checked using the time feature on the testing computer. All questions presented should be answered, as any blank answers are considered to be incorrect in terms of scoring. If a question seems difficult, it can be skipped and returned to later during the CBIC examination. A best guess is better than no answer at all. 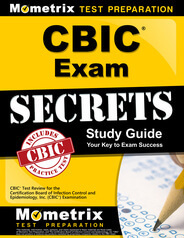 Explore our free CBIC review provided by Mometrix. Check out our premium CBIC study guide to take your studying to the next level. If you benefit from these materials, just click the link below! 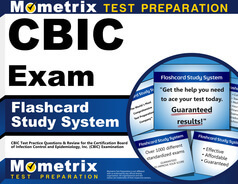 To compliment our CBIC book, we also offer extensive flashcards for even more CBIC exam prep help. We hope you enjoy our products! Your purchase helps us make more great, free CBIC certification content for test-takers just like yourself.